At Block House Farm in Essex, NY. Get together with Champlain Area Trails (CATS) to honor National Trails Day! Celebrate our local network of trails maintained by Champlain Area Trails on Saturday, June 1 from 4-6pm at Block House Farm in Essex, NY. The featured speaker at the event will be William Janeway, the Adirondack Council‘s new Executive Director. The speech will be followed by food and drink. 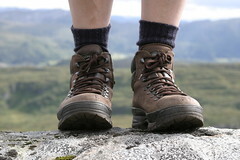 Join in the Cheney Mountain Iron Ore Man Hiking Event on Pelfershire Rd in Moriah at 8:45 am. Hike Black Kettle Nature Trail to see the unveiling of the beautiful new interpretive signs designed by local naturalist and illustrator Sheri Amsel. Meet at 1:00 on Cook Road just west of Leaning Road in Essex. One more announcement for you: There’s still time to Enter CATS first Photo and Caption Contest! They are accepting entries through May 15th.